357 Lincoln Street, Lexington Under agreement. 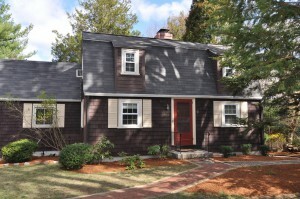 Pottery Barn charm: four-bedroom, one-and-a-half-bath Gambrel with two-car garage, located on the quieter end of Lincoln Street across from conservation land. Family room addition with sliders that open to large private back yard. Inviting living room with fireplace. Formal dining room. Offered at $570,000. Open houses 1:00-3:00 on Saturday and Sunday, April 21 and 22. Please use the contact button to arrange a private showing.